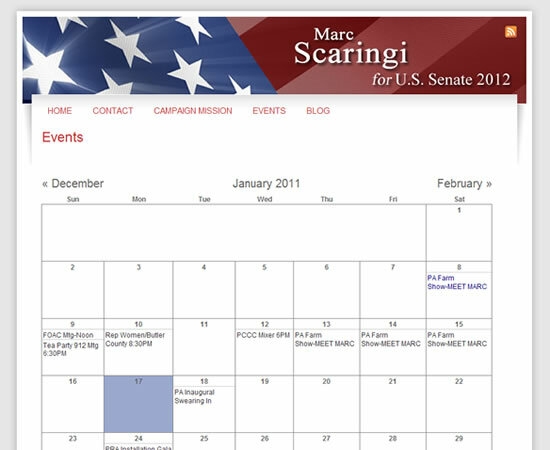 The official web site of the “Scaringi For U.S. Senate 2012″ campaign. In his bid for the Republican nomination to the U.S. Senate for Pennsylvania, Marc Scaringi is committed to sharing his ideals as an American citizen and his vision for returning this country to its foundational roots in the way our Founding Fathers planned for. His message is simple: Less Government. Lower Taxes. More Self Reliance and Responsibility. 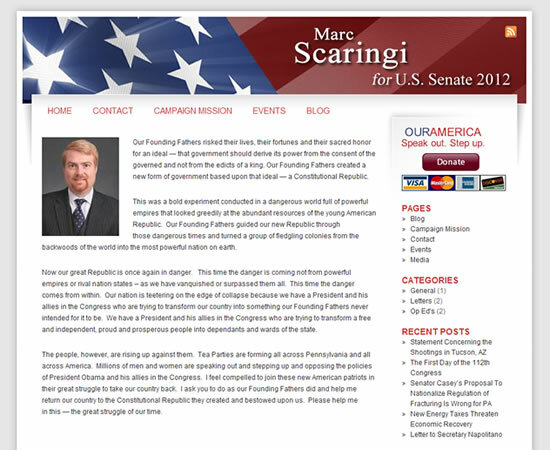 As a citizen concerned about Middle America, Marc Scaringi is not a career politician. He is a husband, a father, a small business owner, and a concerned American. Marc Scaringi believes our country is headed in the wrong direction. He feels compelled to step outside his private life and step up to the challenges created for Middle America by a runaway government, lend his voice and energies to a fair campaign, and get elected to go to Washington to help other like-minded individuals who are charting a better course for America’s future. 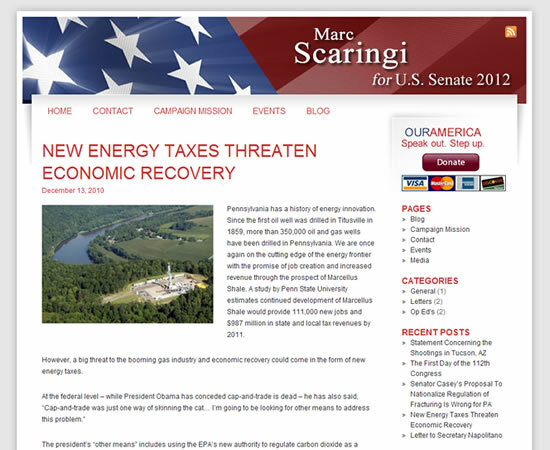 The content of the site is the property of the campaign for Scaringi For U.S. Senate 2012. Reuse of this content requires the permission of the Press Office.